The update is bricking some AMD PCs by not allowing the computer to re-boot. After several failed re-boots, most devices will rollback the last software update. Removing the update allows these AMD PCs to boot up again, but the automatic update feature of Windows will automatically download the security update again, starting the cycle over again. Frustrating consumers. In a statement, AMD acknowledged the issue but stated it is primarily a problem with older generation processors. Unlike AMD, Microsoft has not publicly responded to the apparent incompatibility of the update with older AMD processors. 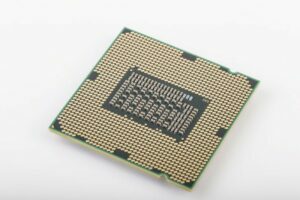 It is believed that the AMD processors are not vulnerable to the Meltdown attack but are susceptible to the Spectre attacks. This update was intended to provide a patch for some of the Spectre attacks, although firmware and/or hardware updates are also required to patch some of the Spectre vulnerabilities. For more information, see our Intel CPU class action story.